Lesson 1: Christ ______________________ __________ with Israel in the wilderness (John 3:14, 6:32-33; 1 Cor 10:3-4; Exo 13:21). NOTE: Parts I through VII of Lesson 1 are from previous sermons. (Part I) Passover looked forward to Jesus’ crucifixion. (Part II) Unleavened Bread looked forward to Jesus’ unleavened body in the grave. (Part III) Firstfruits looked forward to Jesus’ resurrection. (Part IV) Pentecost (or Weeks) looked forward to the “harvest” of the church. (Part V) The “gap” between Pentecost and Trumpets looked forward to the Church Age. (Part VI) Trumpets looks forward to the Rapture. (Part VIII) Tabernacles looks forward to the ______________________ (Lev 23:33-44; Mark 11:8-10). Lesson 3: Are ____ ______________ with Christ as our inheritance? (Gen 49:4; Exo 32:25-29; Num 3:11-12, 18:23-24; Deut 10:9, 18:1, 21:17; Josh 13:14, 13:33, 18:7; Psa 16:5, 73:4-26, 142:5). The “gap” of six months (representing the Church Age) from the beginning of the Spring Feasts to the beginning of the Fall Feasts. Day 1: Read John 6:32-33, 1 Cor. 10:3-4, Ex. 13:21, John 3:14 & discuss: In what ways did God’s provisions in Numbers look forward to Christ? In what particular ways has God provided for you? Make a list and tape it somewhere in your house, office, or car, so you can be reminded of the Lord’s goodness to you. Day 2: Read Lev. 23:33-44 & discuss: What New Testament passage should this remind you of? Why were the people celebrating Jesus’ entry into Jerusalem; what did they think was about to happen? What specifically does the Feast of Tabernacles look forward to? Day 3: Read Ex. 32:25-29; Num. 3:11, 18:23; Deut. 10:9, 18:1, 21:7; Josh. 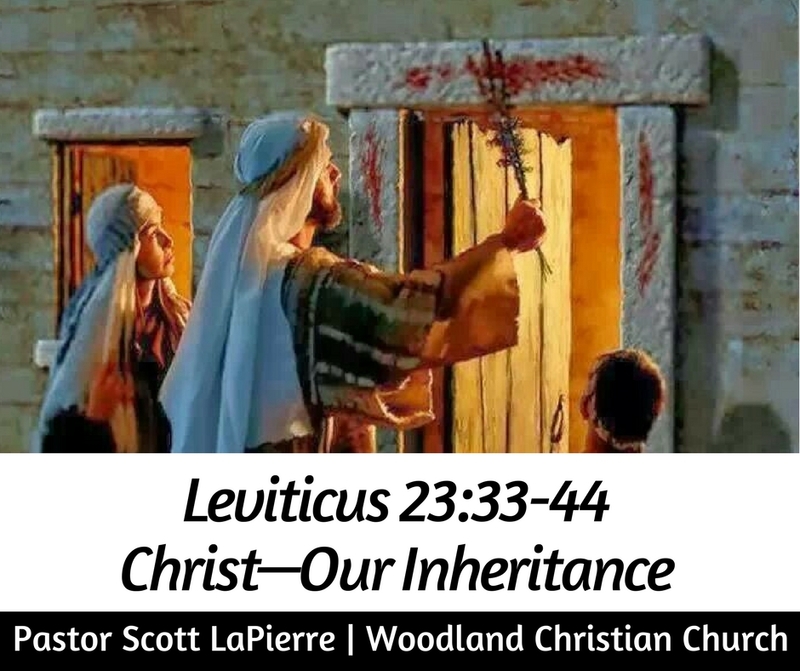 13:3, 18:7 & discuss: Why were the Levites rewarded with this particular inheritance? What was their inheritance? What do you think they were expecting when they entered the Promised Land? What if all you had was Christ? Make a list of all the things and people that you truly value, appreciate, love, and like; which items/persons - if removed from your life - would most likely knock you off-course for a while? Does that item/person have a controlling, idolatrous influence in your life? If so, how can you rightly value it in light of the supreme worth of Jesus Christ?